Cheese of this ilk (hard and granular – hence the the name ‘gran’) is a permanent fixture in my fridge. It’s not usually Parmesan, because that is really expensive…rather I get the equally appropriate and almost-as-tasty Grana Padano. 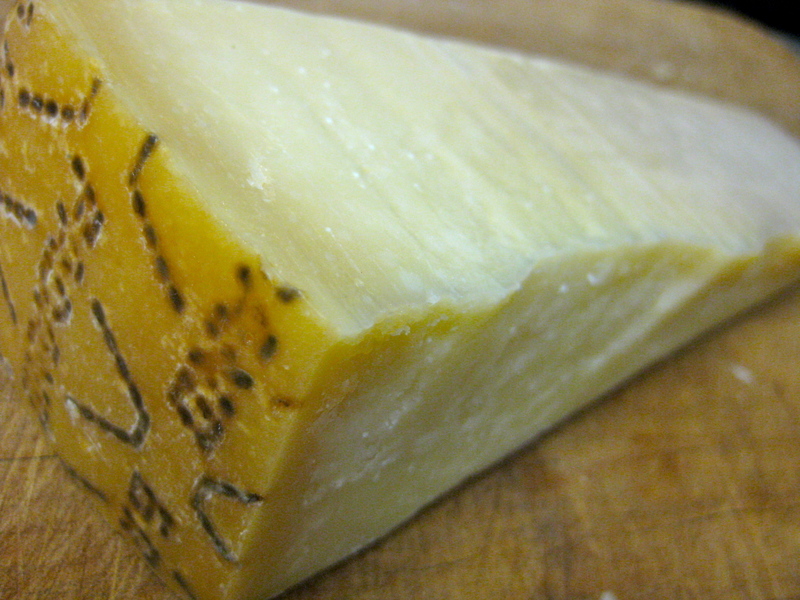 Or you could use Pecorino or Romano…it all depends on your budget and your taste. Point is, cheese is good. It can be used to add a depth of flavour to pasta dishes, stews and egg dishes like frittata and quiche or even the humble cheese sauce. Or, you can even serve up crumbled chunks on an antipasto platter or with olives when you serve drinks. If you get yours grated, store it in a plastic container or zip-lock bag in the freezer. If you keep it whole, keep in it the cheese part of the fridge, but don’t keep it completely sealed, because it will go mouldy. Either wrap it in baking paper, a brown paper bag or a loosely in a plastic bag. It needs air flow, and you can always cut the dry bits off if it’s been in there for a while. Keep the rinds and ask for them if you get yours grated. The rinds are perfect to pop in ragus like my mum’s macaroni or bolognaise to really boost the flavour.